It looks like while Obama and Clinton were presidents, their families have spent a staggering amount of vacations reaching higher than $85 million. Even though millions of Americans were struggling just to put food on the table, they spent our money to enjoy their lavish vacations! But that’s not all they also enforced laws that almost destroyed our country by using our taxpayer’s money for some silly stuff! So now one of those families is back for more! Hillary used her Twitter account to promote six radical, anti-American far left groups she financially backs. Clinton also promoted her organization ‘Onward Together’, begging for more money. Onward Together is ending 2017 by supporting six more incredible organizations fighting to protect voting rights and to make it easier for young, diverse candidates to get on the ballot and get elected. 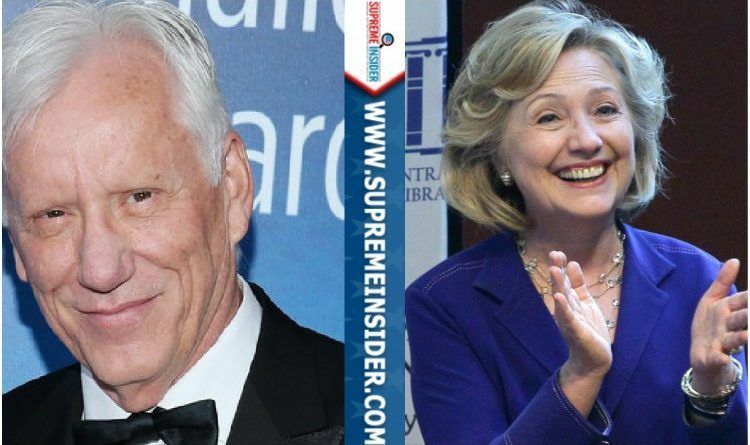 This is why Hollywood actor James Woods decided not to be silent on this and shared his opinion on Twitter this morning. The pity party is getting old. Hillary Clinton had more chances in politics than any other politician but she did nothing.